Hello everyone, it’s been a while since I’ve consolidated all of my latest updates into one spot, and as the end of the year is approaching, I thought it would be a good time. 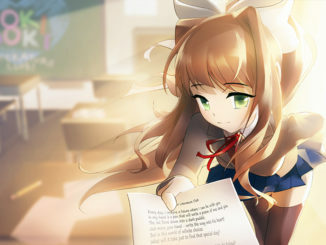 This is a pretty casual post where I’d just like to go over the stuff that we have going on, and where we expect things to go in the future. 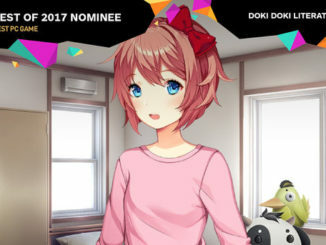 This year, DDLC was nominated for two awards in the upcoming SXSW Festival. 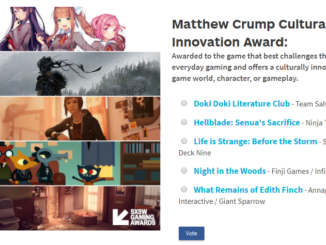 If you want to support DDLC, follow this link to vote. 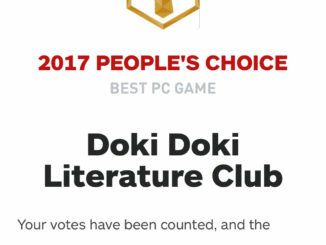 The results are in – DDLC won IGN People’s Choice (most player votes) for every category it was nominated for: Best PC Game, Best Adventure Game, Best Story, and Most Innovative. 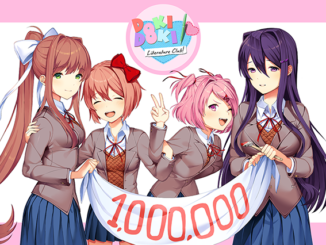 It’s only just now I’ve realized that nothing I’ve ever done in my life has had greater reach and popularity than a romance game with cute anime girls. Hello everyone, I’d like to announce the introduction of IP Guidelines (fan content guidelines) for DDLC.